The capital city of Western Australia has grown into a real estate lover’s dream, with something to suit every taste and budget. Notwithstanding its status as one of Australia’s biggest cities, Perth is still notably lighter on the pocket than similar cities like Sydney. Taking this into account, there are still a vast number of properties on the market, and a large number of real estate agents that are tasked with handing over ownership of these. To many home sellers, this poses a challenge, as a large number of competing properties means that it is more important than ever to find a real estate agent that truly knows how to sell quickly, while not compromising on the asking price of the property. The 2016 census by the Australian Bureau of Statistics found that roughly 7,305 real estate agents do business in the state of Western Australia, working for 3,083 real estate establishments. Western Australia’s capital city, Perth, is home to 151,000 people, and the greater Perth area has 1.9 million inhabitants, making it the fourth most populous city in Australia. Despite a national decrease in median house prices over the past few years, the Perth property market is showing signs of stabilisation, signalling a slow-down in the rate of decline. This follows a housing boom in Australia which has lasted quiet a few years. Perth recorded an average of 489 property sales per week in 2017, and the Real Estate Institute of Western Australia predicted roughly 500 sales per week for the first half of 2018. In terms of supply and demand, listings for rent declined in 2017, from 11,000 in January to just over 9300 in December of that year. Leasing activities for the same period were strong, with roughly 1180 rentals leased every week. This has lead to speculation that the balance between supply and demand of stock would continue to improve in 2018. “When there is a supply shortage, we usually see increases in price. However, I expect these to be moderate gains, due to the limited wage growth in WA. – East Perth, due to the footbridge connecting to the new stadium, and Burswood being completed. – Karrinyup, where there is a shortage of supply of high-end, yet affordable apartments, and the Karrinyup Shopping Centre is going through a $600 million redevelopment. – Rockingham foreshore, where prices are very low and the area seems undervalued, given the abundance of new cafes, restaurants and bars along the north-facing beachfront. Selling or renting your property in Perth can be challenging when you don’t have an experienced and knowledgeable real estate agent to help you. Perfect Agent gives you access to the very best real estate agents in Perth, carefully selected from the large amount of agents and real estate agencies doing business in Western Australia’s capital city. Perfect Agent has made it easy to find and compare estate agents in Perth: simply fill out this form, and we’ll get back to you with recommendations of the highest quality. When Captain James Sterling first sailed to the Swan River in the HMS Success in 1827 with the goal of establishing a settlement, he could probably never have imagined what that tiny settlement would become. Perth was founded in 1829, and it took its name from Perthshire in Britain, the birthplace of Sir George Murray, the British Secretary of State for War and the Colonies at the time. Known as Boorloo by the indigenous Nyoongar people who had occupied the land for nearly 40,000 years, Perth saw European exploration of the Swan River for the first time in 1697, when the river was discovered by the Dutch captain, Willem de Vlamingh. It would, however, take more than a century for Europeans to settle along the river’s banks. Stirling called the natural environment around Perth “as beautiful as anything of this kind I had ever witnessed”, and it was ultimately agreed that Perth would be the first free settlement in Australia. Development of Perth was quite swift after the establishment of a settlement, thanks to the influx of convict labour to build the city. An estimated 9000 convicts were involved in the construction of the earliest buildings in Perth, and the city grew rapidly. The Royal Perth Hospital was established in 1855, with Perth being named a city just a year after, in 1856. The first telegraph line between Adelaide and Perth in 1877, together with the completion of the railway from Fremantle to Guildford in 1881, greatly improved the communications and transportation infrastructure, and not a moment too soon. Western Australia’s gold rush in 1892 saw a surge in Perth’s population, and as a result, various types of infrastructure were developed. The University of Western Australia was founded in 1911, and is the sixth oldest university in Australia and the oldest in Western Australia. Among the new residents to move to Perth were a great many professionals and field experts, including a number of architects, who played an immense role in the design and construction of the transformation of the city’s skyline. A larger population lead to the completion of the railway from Perth to Armadale in 1893, and this was also the year when electricity generation became available. After Western Australia joined the Federation of Australia in 1901, Perth became Australia’s fastest growing capital during the first decade of the 21st century, thanks to the mining boom and associated economic development in Western Australia. Today, greater Perth consists of 30 local areas and 250 suburbs, and is home to almost 2 million permanent residents. 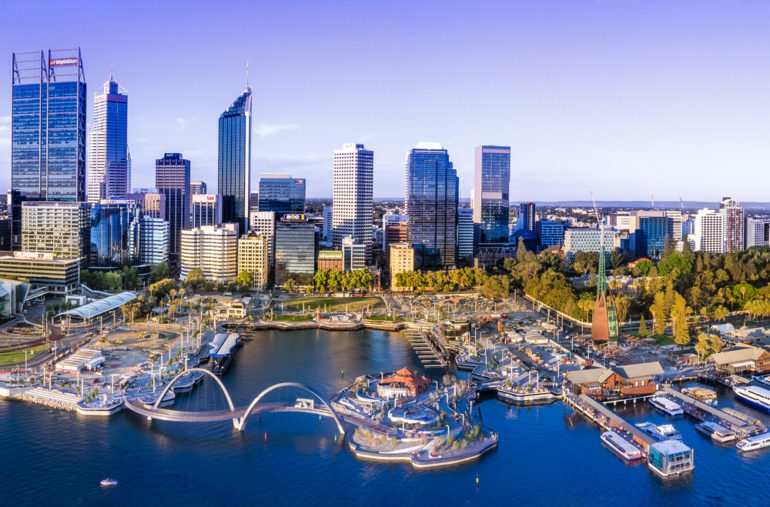 The key urban centres of the city of Perth are the Central Business District, Freemantle and Joondalup, but tourism has also become a major economic driver for the city, and more than 3 million people visit Perth every year. The city of Perth, located on Australia’s western coast, can lay claim to being the sunniest capital city in the world, with an average of eight hours of sunshine on any given day. Add to that the fact that the city has access to 12,500 km of coastline and 19 breathtaking beaches from Fremantle to Trigg, and all of that sunshine certainly doesn’t go to waste. Whether you’re looking to hang ten, or just relax under an umbrella with a book, Perth’s beaches cater for everyone, and parking is free at most of them. Residents of Perth will be well acquainted with the “Fremantle Doctor”. Credited as being the most consistent wind in the world, the Doctor arrives between 12 and 3 in the afternoon almost every day of the year. Perth has an extensive public transport network, which includes trains, buses and ferries, and finding your way around the city is a breeze. Take the ferry between the new Elizabeth Quay Jetty and the Mends Street Jetty in South Perth to get a beautiful view of the city’s skyline from the banks of the river. Regional, domestic and international flights also arrive and depart from the Perth Airport every day. Despite being one of the most isolated capital cities in the world – Jakarta and Singapore are closer to Perth than Australia’s capital, Canberra – the Sandgropers of this Western Australian city also form a part of the city with the highest per capita number of self-made millionaires in the world. This is largely thanks to the region’s thriving mining industry: The Kalgoorlie mine is the world’s biggest producer of gold, Broom produces the most pearls in the world, and the Argyle mine is the world’s largest producer of diamonds. Western Australia is sometimes referred to as Wait Awhile, and it is this laid-back lifestyle that has made Perth popular among all age groups and demographics. The Swan Valley wine region is just a stone’s throw away from the city, and Perth itself has a variety of leisure activities available to residents and tourists alike. These are not just limited to activities on the beach, but include a V8 car track, bungee jumping and hiking. Perth has been recognised as the seventh most liveable city in the world and the second friendliest city in the world, and it isn’t difficult to see why. Perth has great weather, great people, a beautiful and scenic landscape and well-developed infrastructure. Don’t let its metropolitan exterior and range of thrilling activities fool you, though – Perth residents love the city because at the heart of it, this is still very much like a small town. – The sheer size of the state of Western Australia is mind-blowing – if the state was a country, it would rank among the top 10 biggest countries in the world. – Perth’s closest neighbouring city, Adelaide, is a whopping 2,200km away. – Perth is known as the City of Light, resulting from the astronaut John Glenn’s orbit of the earth in 1962. The first American to orbit the earth, Glenn could identify Perth from space because everyone had turned on their lights, making the city very visible. – The beach at Geographe Bay in Busselton has the southern hemisphere’s longest wooden jetty. It measures 1.8km and was built in 1853. Many buildings of architectural, cultural and historical importance can be found in the Perth Cultural Centre, including the Western Australian Museum (which dates from 1891 and is located on the premises of the old Perth gaol), the State Library of Western Australia, the Art Gallery of Western Australia, the State Theatre Centre of Western Australia and the Perth Institute of Contemporary Arts. The Perth Town Hall dates back to the late 1860s, and was built by convict labourers. Founded at the end of the 19th century, the Perth Mint is the oldest working mint in Australia, and its regular demonstrations make it a popular stop for tourists in the 21st century. The Old Perth Observatory dates back to the late 19th century and stands close to two other significant architectural landmarks: the Parliament House and Kings Park and Botanic Garden. Kings Park is the largest inner city park in the world, even edging out New York City’s Central Park in this arboreal and botanical rivalry. The new Perth Observatory, which opened in 1968, is located in the suburb of Bickley and still hosts regular viewings of the stars with a powerful telescope. Perth is also home to a number of buildings that are included in the Australian Institute of Architects’ list of Nationally Significant 20th Century Architecture, compiled by the Institute’s National Heritage Taskforce in June of 2011. This includes Council House, a 12-storey office building which was the result of a national competition. The building was to be completed for the VII British Empire and Commonwealth Games, to “epitomise the forward-looking aspirations of the Perth community”. Another modern addition to the Perth skyline is Allendale Square. This skyscraper is referred to as an outstanding example of modern architecture, and was completed during the mineral boom of the 1970s. It can be found at 77 St. George’s Terrace. The amount of real estate that is available in Perth has grown immensely in the past few decades, and new developments in the city are always underway. The 2016 census stated that Greater Perth has a total of 690,284 occupied private dwellings. 76.9% of these are separate houses and 16% are semi-detached houses or townhouses. 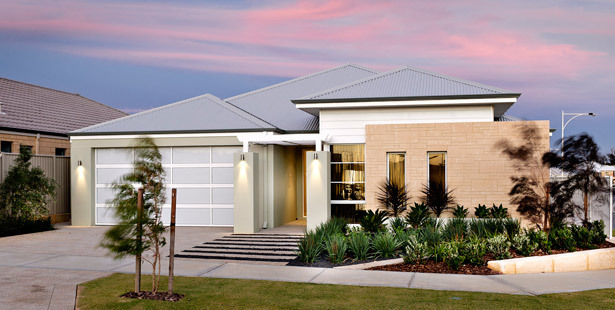 Commission structures for real estate agents in Perth can be divided into fixed or tiered commission, according to the terms that are negotiated with the real estate agent helping you to sell. The real estate agent commission rate in Perth is 2.48% on average, but commission rates may vary among agents, and an extra fee for the marketing of the property may also be applicable. While Perth properties averaged a median sale price of $515,000 at the start of 2018, prices in certain suburbs may be significantly lower. Medina, for instance, is Perth’s most affordable suburb, with median house prices of just $238,000, according to figures that were recently released by the Real Estate Institute of Western Australia. Conversely, median house prices in one of Perth’s most expensive suburbs, Peppermint Grove, stand at almost $3.5 million. It is worth noting that Perth remains the cheapest capital in Australia to rent a home, providing a lucrative and ready-made market to people who decide to rent out their property for an extra income. 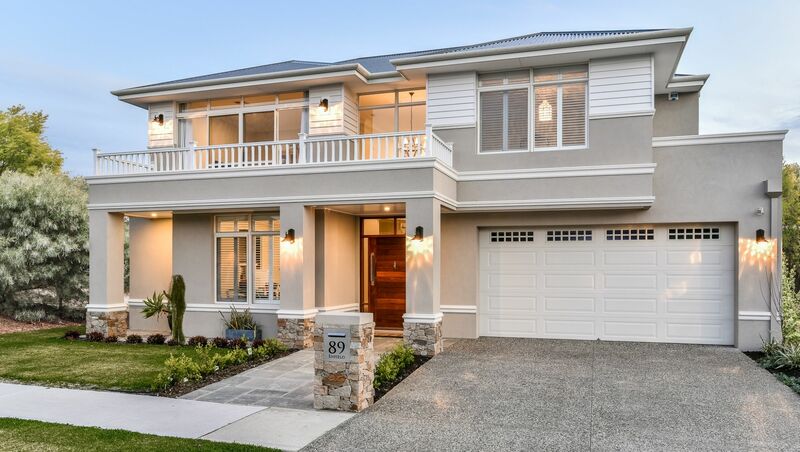 The way in which the property market is tackled has changed significantly of late, with home sellers in Perth getting progressively more creative in their marketing, staging and home showing strategies. For one, twilight open homes, where sellers make their homes open for inspection for up to six days a week, are increasingly popular among home sellers in Perth. Incorporating the use of 3D technology to virtually furnish empty homes is proving a more affordable option than hiring furniture for the same purpose, and allows potential buyers or renters to envision what a property would look like when it is fully furnished. Another technique that real estate agents are starting to use is the creation of a type of pop-up shop experience for potential buyers when the house is on show, with audiovisual displays on the television, and research about the property and the area it is located in available to people who come to view the property. LED signs that replace the traditional “For Sale” and “For Rent” signs outside homes have also proved to be very successful in attracting the attention of buyers and renters more effectively than the alternative. In a city where there are hundreds of homes up for sale or rent at any given time, standing out from the crowd is of paramount importance. In terms of auctions, a new cloud-based technology called LiveBid was recently adopted for the first time by a Western Australian real estate agency. This technology, which was developed in Australia is used to record auction bids electronically, and allows real estate agents, buyers and sellers to track auctions simultaneously in real time. And it seems that the addition of technology to the traditional auction set-up has not scared off buyers: when a LiveBid auction was held in February of 2018, a 1950s home in south Carine sold for $875,000, after nine bids were placed in only seven minutes. Just like in the rest of the country, Perth is also subject to the ebbs and falls of the housing market, and it would be wise to keep an eye on the average price per suburb before deciding to buy or sell property. Perfect Agent recommends the very best real estate agents to help you sell your property. These experts are constantly following the latest developments in the national property market, and can provide timeous advise on when the best time to sell would be, or can help you find renters for your rental property. A recent mining downturn in Western Australia has led to the real estate market showing only modest growth of late, which makes an experienced and qualified estate agent in this region indispensable. Considering the fact that the housing market in Australia is always changing, having an expert on board to help you sell your Perth property will make it easier to sell at the best price within the best time frame. Remember: at any given time your property is competing with the up to 500 other properties in the city that are sold in Perth per week. With so much choice, getting your home to stand out from the rest can be difficult, but with the right real estate agent to help you sell, it becomes much easier to inch out the competition. Good real estate agents know how to market your property to the right people, and may already know about interested buyers as soon as the property goes on the market, which could help to sell your property much faster than you might have anticipated. When using a real estate agent finder like Perfect Agent, you are able to access a pool of qualified and experienced real estate agents, and the recommendations we make are based on your specific search criteria. 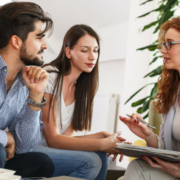 This makes it easier to choose an agent that fulfills all your selling or rental needs, while also providing access to a large database of potential buyers and renters. Perfect Agent strives to find agents that check all the boxes when it comes to expertise and experience. Real estate agents you can trust are experienced, licensed, and are excellent communicators who have a proven record of recent sales. Median house prices in Perth are lower than other big cities in Australia, and finding an agent you can trust to get the best price for your property – even when median house prices go down – is difficult when you do not know where to look. Contact Perfect Agent to receive a tailored comparison of real estate agents in Perth and surrounds, and to ensure you get the price you want.